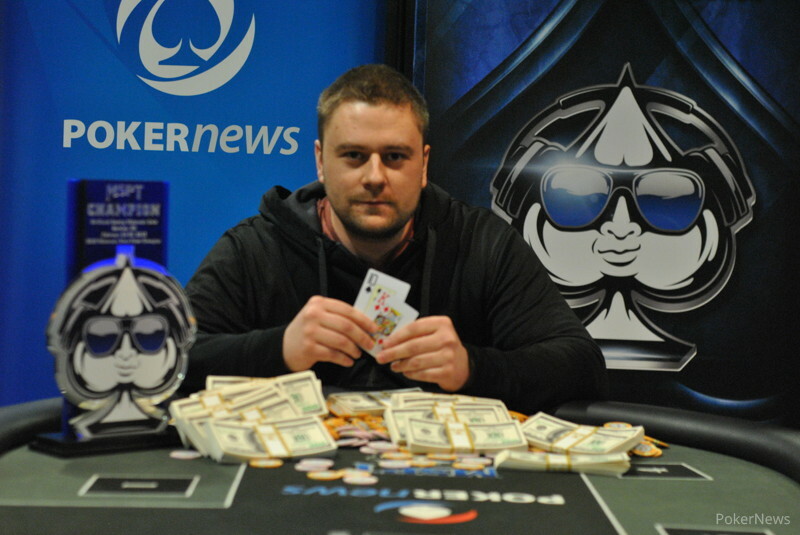 Local grinder Ben Wiora took down Mid-States Poker Tour Ho-Chunk Gaming in Wisconsin Dells, Wisc. for $114,512, defeating a venue record 463 players to do so. Wiora, primarily a cash player and a regular in Ho-Chunk's games, came into the event with just $16,662 in scattered tournament cashes. Wiora took down two monster pots just before the final table began, coming into the final 10 as the leader. He emerged as the clear front-runner with about a third of the chips in play seven-handed and steamrolled the rest of the table from there in quick fashion. When championship Sunday began, 88 hardy survivors convened in Ho-Chunk's main poker room for the beginning of Day 2. Notable contenders such as Aaron Johnson, Kou Vang, Chad Holloway, Mike Mustafa, and Jason Sell all fell before the money was reached with 45 players remaining. When Wiora busted a short-stacked player in Level 19 (4,000/8,000/1,000), the bubble burst and payouts began. Day 2 chip leader Mark Hodge's run of three straight final tables ended in the money when he busted 18th, unable to improve when he got all in with trip aces on the turn against the made flush of Zach Shelton. Others collecting payout tickets as the field narrowed down included Joe Barnard (37th), Nik Stone (36th), Jeff Petronack (35th), former champion Nick Jivkov (34th), and Ken Rosheisen (27th). 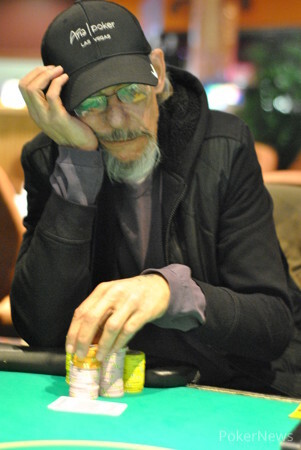 With 16 left, Wiora's first key pot occurred when he called John "JohnnyGstaks" Hayes' five-bet ship with 31 big blinds deep, only to see Hayes turn over . Hayes stayed in command on the flop, but Wiora turned an ace to drag the huge pot and survive. Hayes busted shortly after in 14th, followed by tour pro Matt Alexander (13th) and two-time WSOPC ring winner Chris Karambinis (12th). Then, Wiora opened for 80,000 in Level 26 (20,000/40,000/5,000) and called a three-bet to 275,000 from Shelton, who was in the blinds. Shelton overbet shoved 866,000 on the flop, and Wiora called with , again seeing his opponent show kings. Once again, the turn brought the card Wiora needed as he made trips to send Shelton out on the final table bubble and take more than a quarter of chips in play to the final table. With so many chips concentrated in the top two stacks (Craig Trost had about 2 million), the blinds forced other players into action early and Ernest Garrett (10th), Day 1a leader Will Stone (9th), Mike Holm (8th), and Jason Schimelpfenig (7th) busted before the first break. 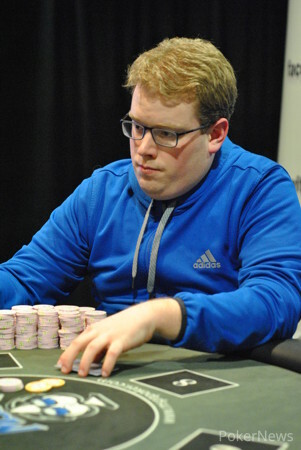 Trost, who found nothing but poor luck at the final table, followed in sixth when he caught eventual runner-up Thomas Peebles shoving light with but couldn't hold with . 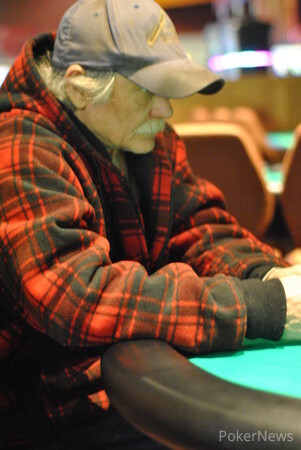 Gerald Heckathorn fell in fourth when he turned a pair of fours into a bluff and ran smack into a set of jacks held by another local, Marv Roelke. Roelke then ran his queens into Wiora's kings for a monster pot, after which Wiora held two-thirds of the chips three-handed. 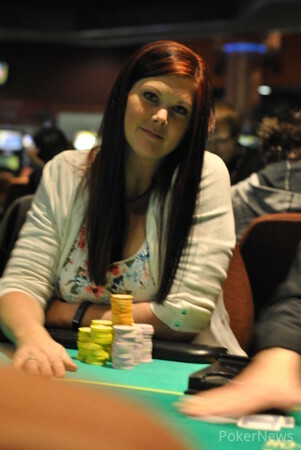 Peebles then won a flip against Mandy Caffee to set up the heads-up showdown against Wiora. Peebles, who seemed forced to make due without the big hands, didn't go down quietly as he doubled up with all in preflop against after Wiora hammered him down to about 10 big blinds. However, Wiora made a straight against Peebles' two pair shortly after that and then gambled with king-ten once more, this time beating for the win. The MSPT returns on March 12 in Colorado, so we'll see you then for more live coverage of another stop on the tour. Ben Wiora raised to 200,000, and Thomas Peebles called. Both checked the flop, and Peebles bet 200,000 on the turn. Wiora called, and the put a four-straight on board. Peebles checked and quickly called 325,000. 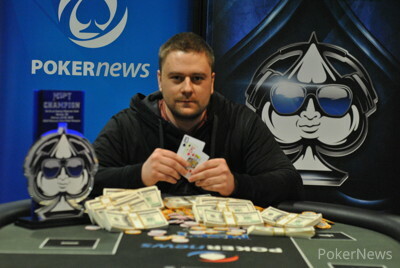 Wiora showed for a rivered straight, and Peebles revealed for two pair on the flop. Left with 615,000 after the ante, Peebles shipped in from the button, and Wiora called. The dealer spread a flop, giving Wiora a big lead with kings. "Nice hand," Peebles said in resignation. Two deuces later, Wiora claimed his win. On a board of , Ben Wiora checked and called 200,000 from Thomas Peebles. The river led to another check and 200,000, but this time Wiora put his opponent all in for 785,000 more. Peebles mucked, and Wiora showed him it was a good laydown: for a flush. The next hand, Wiora opened to 160,000 and then called Peebles' shove. Peebles' dominating hand turned into a flush as the board ran out . Players are on break for 10 minutes. Mandy Caffee jammed from the small blind for roughly 1 million, and Thomas Peebles snap-called. Caffee looked away before the flop, as has been her custom, and it was an ugly one for her: . The turn gave her a straight draw. "King," she said softly, now staring at the board. The dealer brought out paint, but it was the , and Caffee will have to settle for third. Ben Wiora opened to 160,000 under the gun, and action folded to Marv Roelke in the big blind. Roelke announced a reraise and put 360,000 in. Wiora thought a bit, reached into his stack, and slid 1 million in. "Wow," Roelke said softly. "Must have somethin' big over there." A couple of minutes later, he said he was all in for what looked like about 2.4 million, and Wiora called right away. Roelke needed a third lady, but the board ran out , and Wiora now has about two-thirds of the chips three-handed. Gerald Heckathorn raised to 240,000 on the button, and Marvin Roelke called in the big blind. Heckathorn moved all in for 785,000 when Roelke checked the flop, and Roelke snapped it off with . Heckathorn was nearly dead with , and the mean the hand was done on the turn. Ben Wiora and Thomas Peebles play heads up.